"Congratulations, you're a little crazy." 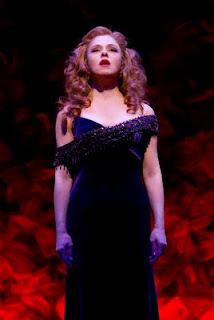 Bernadette is playing "Sally" in Sondheim's Follies on Broadway. The production, which transferred from the Kennedy Center, opens at the Marquis Theatre on Monday, September 12th. Obviously, I'll be there. I saw it at the Kennedy Center five times.